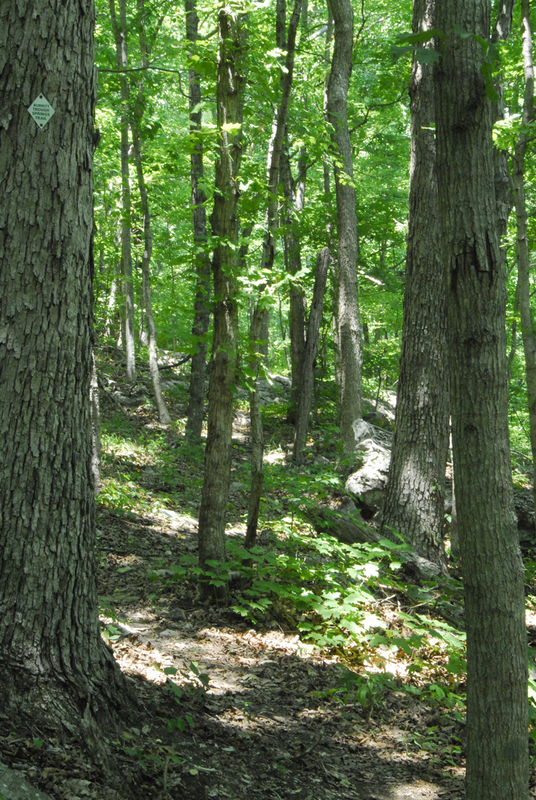 Among the trees on Monte Sano’s southern slope is a natural spring that marks the spot where the Civil War officially ended in North Alabama. 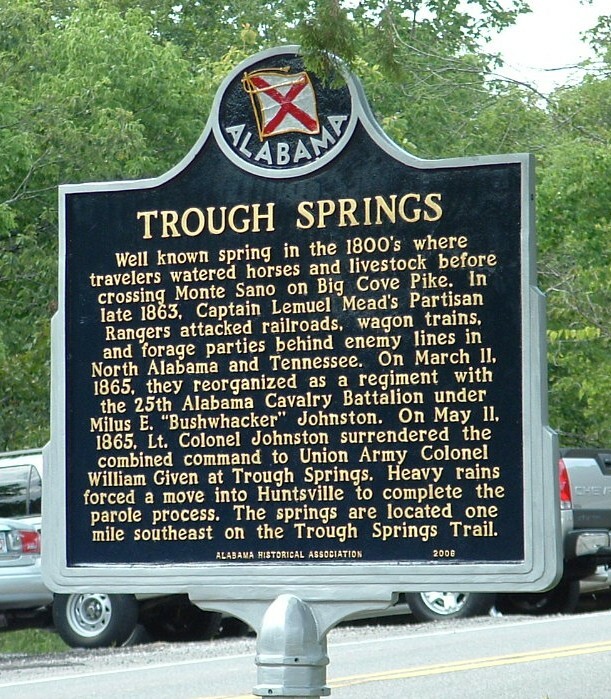 Trough Springs, located along Trough Springs Trail on the Land Trust of North Alabama’s Monte Sano Nature Preserve, is the site of surrender for Lt. Col. ‘Bushwhacker’ Johnston and approximately 150 Confederate soldiers. The surrender took place a few months after the end of the Civil War on May 11, 1865. Prior to the war, Milus Edding Johnston served as a Methodist minister. He traveled church to church from Fayetteville to Madison and Jackson Counties in Alabama. Working this circuit, Johnston learned the lay-of-the-land and also got to know many of the citizens – knowledge that would become especially helpful during his military career. In 1862, Johnston was arrested in Fayetteville by Union occupation soldiers who felt he was a ‘suspect citizen’. However, he escaped from Union custody, realized that his preaching opportunities would now be limited, and decided to sit out the war working on his father-in-law’s farm near Vienna (now New Hope in Madison County). During this time, Colonel Lemuel Mead, a lawyer from Paint Rock, returned home from the Battle of Shiloh. He was with an army of local Confederate soldiers known as the “Paint Rock Rifles.” They recruited additional men from inside Union held North Alabama to add to their ranks. Union soldiers did not recognize these men as regular Confederate soldiers and labeled them ‘Bushwhackers’, a term used to describe non-regular soldiers, who fought in unconventional ways. The Confederates generally stayed south of the Tennessee River, but crossed for supply runs, raids and skirmishes. Their attacks against Union troops led to reprisals against residents of North Alabama that included raiding homes for provisions, burning houses, barns and out buildings, and taking livestock. Late in 1863, during one such raid, Union troops burned Milus Johnston’s father-in-law’s home. They returned a few weeks later to burn remaining out buildings. When they returned a third time intending to capture Johnston, he escaped. 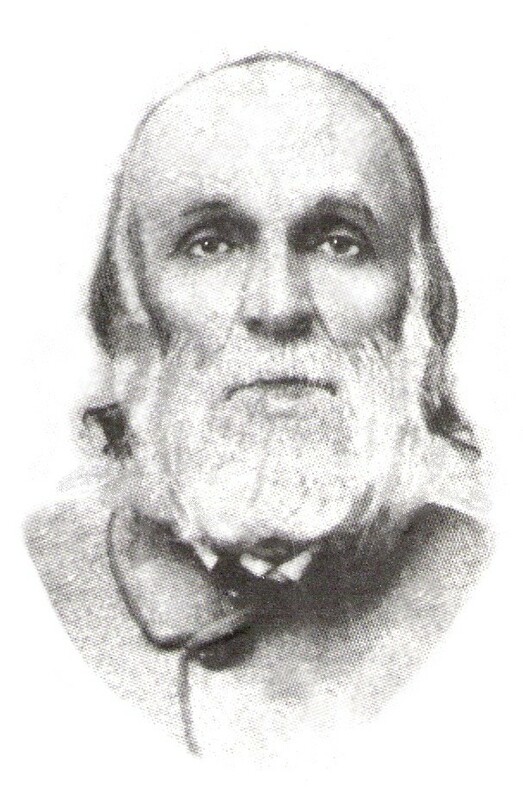 Johnston traveled across the Tennessee River to join the Confederate army and was sworn into service in January 1964. He quickly rose to the rank of Major and was promoted to Lt. Colonel on March 27, 1865 – but never officially received his commission. Being a minister, he always required that his men offered a chance for their opponents to surrender. 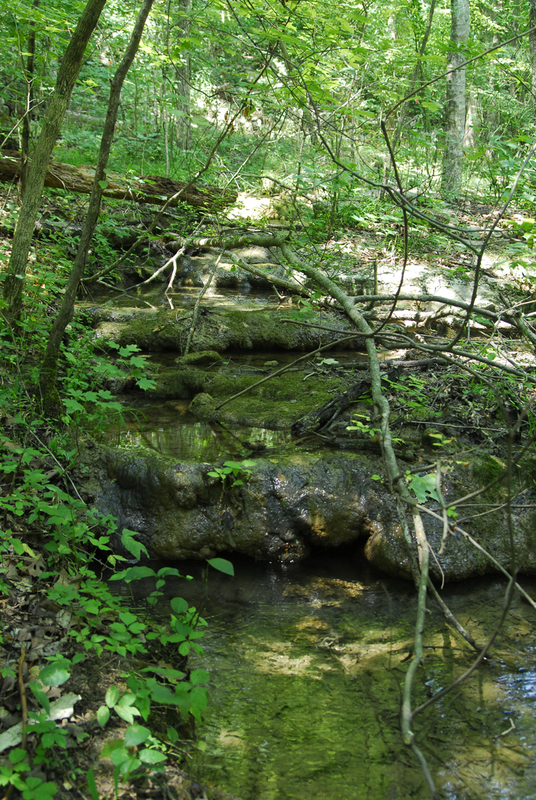 In the 1800s, Trough Springs served as a well-known watering hole for animals and people as they traveled from Big Cove over the mountain to Huntsville. 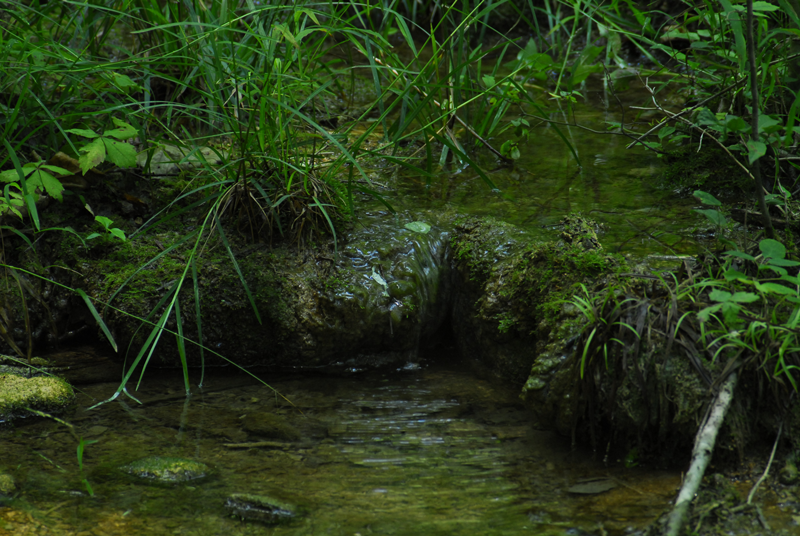 There was a bluff above the base of the spring and a steep drop downhill from the road. Johnston selected this location for his surrender in 1865 because it was ideally suited for the bushwhackers’ unique style of combat – one group of men stationed above the attack site, one in front, and one behind. When the surrender agreement was reached, only then did all the men emerge. 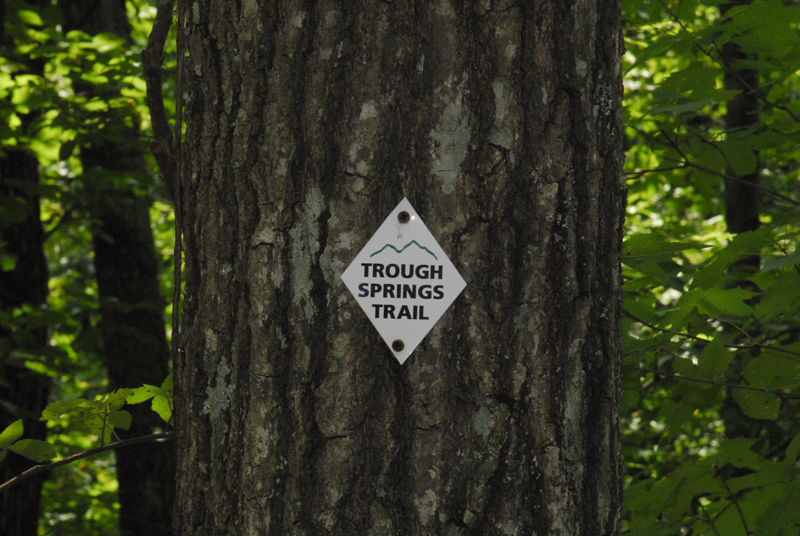 You can join the Land Trust of North Alabama’s Trough Springs History Hike on Saturday, October 13 at 9 AM. You can hear more about this dramatic surrender at the site of the event! Register and sign up at landtrustnal.org/hikes.